Become a member of the OPMS! 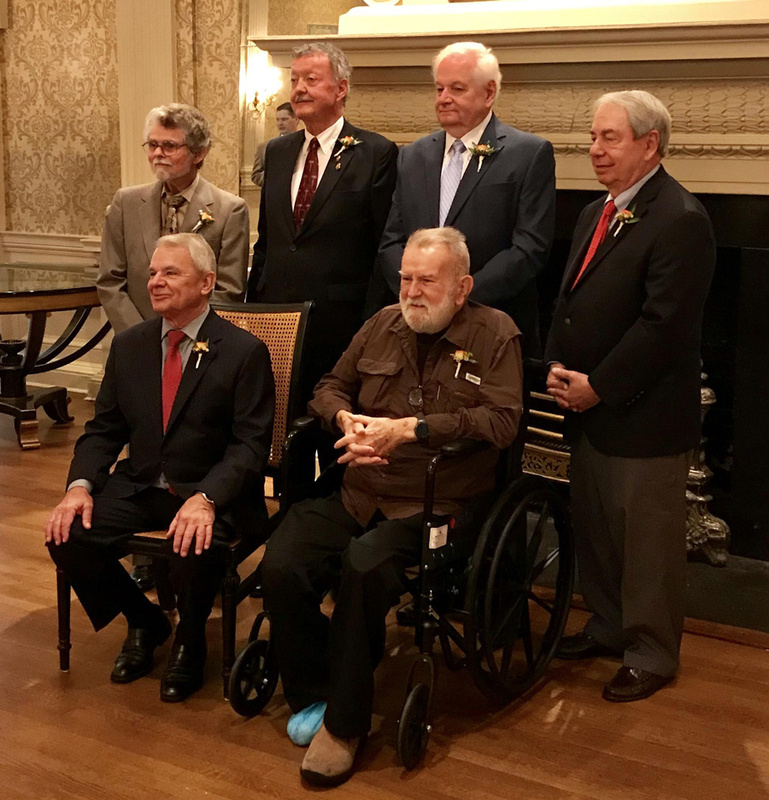 Congrats to the following Orleans Parish Medical Society members celebrating 50 years as physicians at the Orleans Medical Society Alliance’s Annual ‘Doctors’ Day Celebration’: (sitting left to right) Larry Hollier, M.D. ; Raoult Ratard, M.D. ; (standing) Philip Daroca, M.D. ; Roger Smith, M.D. ; Hebert Marks, M.D. 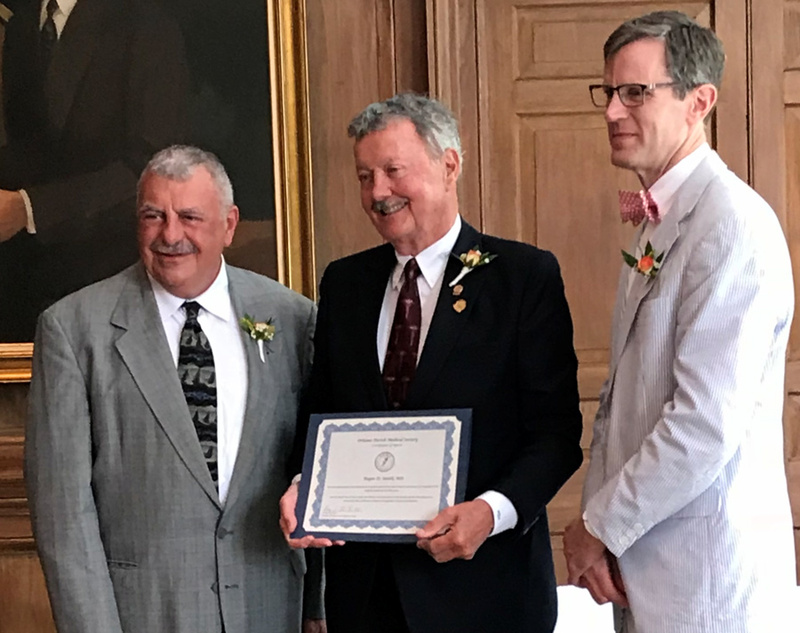 ; Kenneth Adatto, M.D..
Roger Smith, MD, (center) ‘03 President, Orleans Parish Medical Society, was honored on Sunday, April 22, 2018, for 50 years as a physician by George Ellis, MD (left) 2018-‘19 President, and Royce Dean Yount, MD, 2016-‘17 President, at the Orleans Medical Society Alliance annual ‘Doctors’ Day Celebration’.